M2E Charges Your Cell Phone With Kinetic Energy! Earlier this year we highlighted Idaho startup M2E Power’s push to develop motion-powered electronics for the military. Now M2E is emphasizing the commercial applications for their technology, with a specific goal: revolutionizing cell phone batteries. M2E will announce the development of an external charger later this month that will generate between 300 and 700 percent more energy than current kinetic energy technologies, and may eventually replace cell phone batteries altogether. M2E’s technology is founded on the Faraday principle, wherein energy is produced from the motion of a magnet passing through a coil. M2E says they have designed a system that will generate between 300 percent and 700 percent more power than kinetic energy technologies currently available. 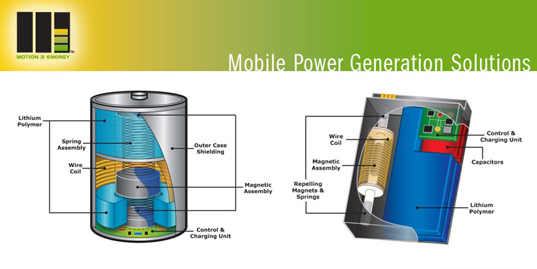 Their design consists of a tiny coil/magnet generator combined with traditional battery storage that will capture even low frequency kinetic energy, so that most daily human motion will be converted into electricity sufficient to power electronic devices like cell phones, PDAs or MP3 players. M2E is looking to incorporate their technology into a variety of fields – their web site teases that “The impending impact of MEMS (MicroElectroMechanical Systems) will be both exciting and far ranging” and hints at applications for wind power, automotive power and small generators. 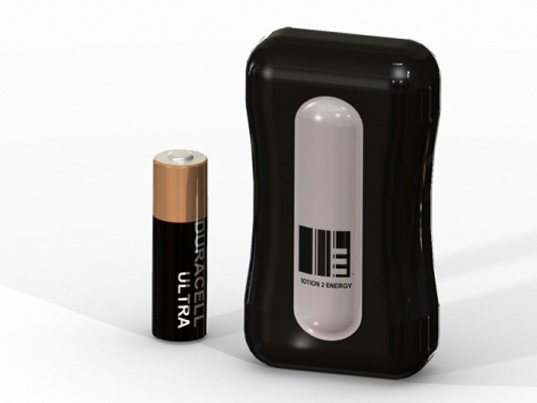 M2E also hopes to eventually create motion-powered batteries that rival consumer-sized ones – D, AA and even AAA cells. The company is planning to get its first motion-powered military product into the field before 2009, but it’ll take two or three years before we can expect our cell phones to charge themselves simply by being transferred from our pockets to our ears.